Keeping a Kosher kitchen is a pretty huge part of living a Kosher lifestyle and this is something Studio William remain aware of when designing our cutlery to suit all needs. Every range offered by the Studio William brand is, what can be defined as, Kosher cutlery, in that the quality and craftsmanship put into each piece will always ensure that no food particles or dirt may become trapped in joins and seams (as are common in lesser quality cutlery choices) and no cross-contamination may occur when used according to Jewish regulations. In Hebrew, “Kashrus,” from the root kosher (or “kasher”), means "suitable" or “pure”, thus ensuring fitness for consumption. There are a few different ways to adhere to the rules, which make cutlery fit for purpose. Although we are no experts on Kashering and Jewish law we hope that you will find the following helpful and informative! If you are new to Kosher life or you have just moved into a new kitchen and want to make sure it fits the bill, you may wish to purchase new, Kosher cutlery to avoid any mishaps. 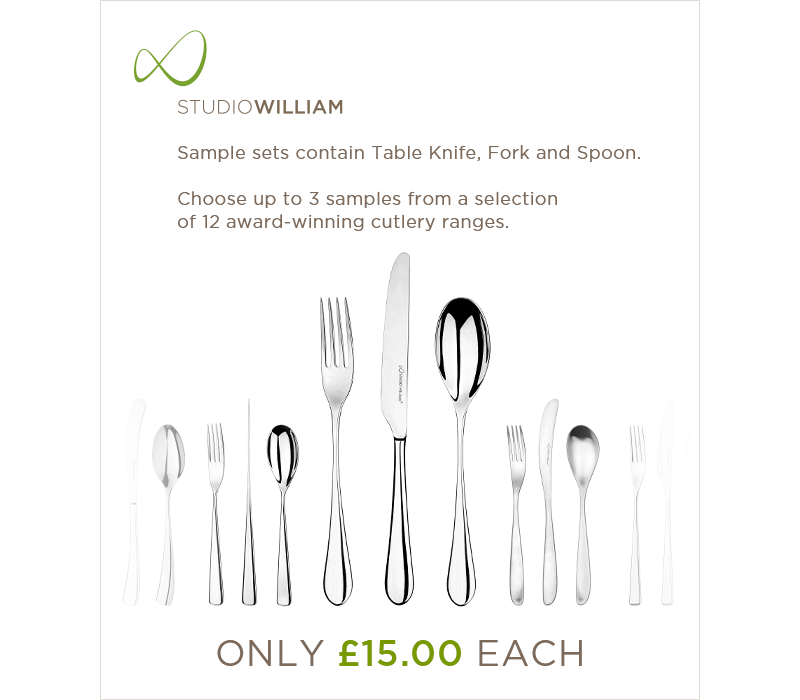 The 18/10 stainless steel used to create all Studio William cutlery is the ideal material to choose as, upon receiving your new set, you can purge each piece without fear of the cutlery deteriorating. Should your cutlery ever happen to come into contact with non-kosher food or a dairy/meat contamination, you can also rest assured that this particular material will not absorb any flavour, unlike earthenware, for example, which would need to be shattered and thrown away as it would be impossible to fully purge. As mentioned above, every piece of cutlery made my Studio Studio is crafted with the utmost care and attention to detail. Each spoon, knife and fork is forged from a single piece of stainless steel. With this superior craftsmanship, you can purchase any range in confidence, safe in the knowledge that there will be no gaps that could leave cutlery open to contamination. Many Jewish people choose to use a different set of Kosher cutlery for each day of the week, thus ensuring that there is time for proper Kashering with Hagalah (boiling) or Libun (burning) between days. Leaving utensils for 24 hours between last use and kashering is not always essential but it is advised, particularly for Passover. Should you wish to stock up your kitchen with a set of cutlery for each day, don’t be tempted to take the plastic route! Although disposable cutlery may seem the savvy option, this is not only harmful to our planet but it's also a false economy and a detriment to your dining experience. Instead, treat yourself to a different Studio William design for each day and delight in the joy and difference the little details bring to your meals. And of course, it is not only those in private homes who must take into account Kosher law. If you are a chef or restaurateur, it's vital that you are clued up and prepared to cater to your guests' needs. Meat/Dairy cross-contamination is one, which all dining establishments can easily keep in line with, simply by being equipped with separate Kosher cutlery sets. 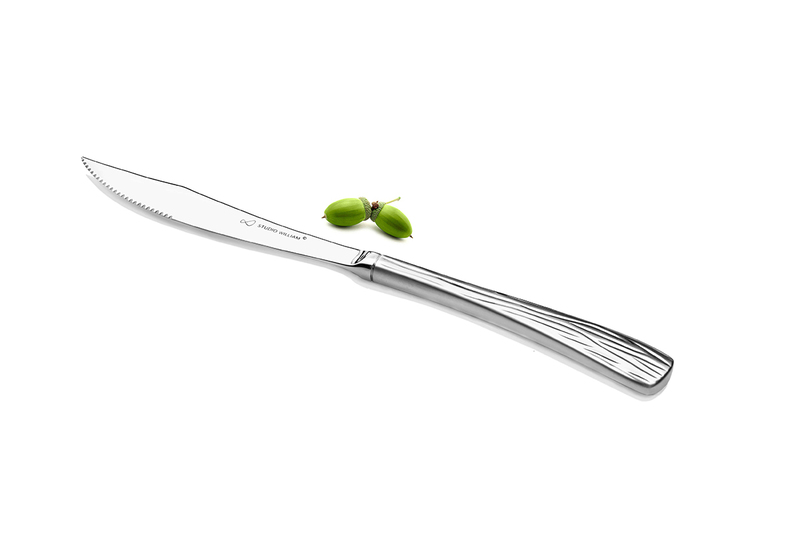 For diners who request a Kosher meal, consider serving steaks with the Studio William Larch handle steak knives, which are made entirely from stainless steel with no separation at the handle.